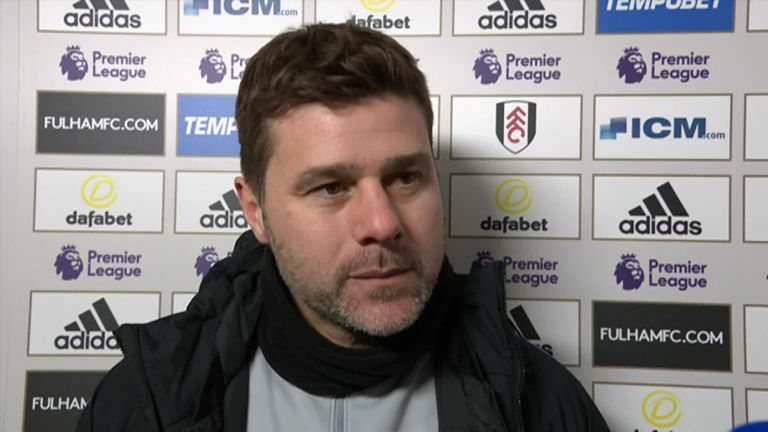 Mauricio Pochettino has challenged members of his Tottenham squad to seize the opportunity presented by Dele Alli's injury at Fulham. Alli hobbled off with a hamstring problem with just four minutes remaining at Craven Cottage, adding further strain to Spurs' attacking options in the absence of Harry Kane and Heung-Min Son. "You know very well the action. We need to assess him in the next few days," Pochettino said when quizzed on the England international's injury in his post-match press conference. "The hamstring is a muscle we need to be careful with, but it doesn't look great. On the pitch, we all agree that when you see him put his hands on his hamstring you feel...it's not great." The injury meant Alli missed a dramatic finale at Craven Cottage as Harry Winks' winner in the final minute of stoppage-time saw Spurs come from behind to seal a 2-1 victory. It meant Spurs passed their first assignment without Kane, who is out until March with an ankle injury, and Son, who is at the Asian Cup with South Korea until February. 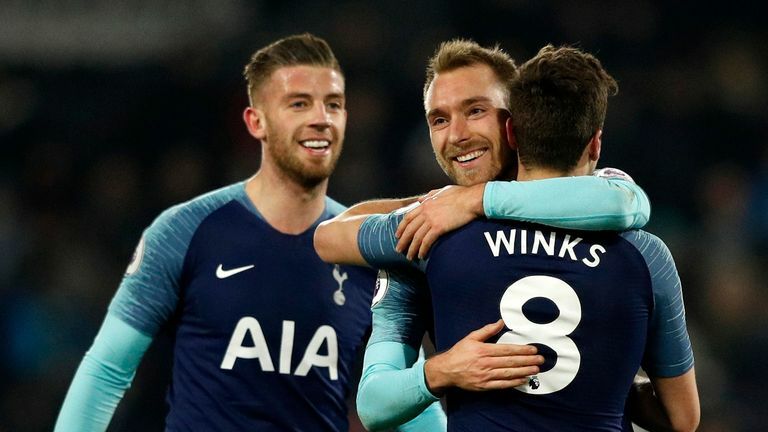 Pochettino praised Winks for stepping up in the absence of Spurs' influential front two, adding: "His action was brilliant because Winks recovered the ball from the right full-back, built the play and believed he could get into the box. "The cross was fantastic and Winks arrived with the determination to score. That is the belief that we love to see. He deserved a fantastic prize." Alli's injury leaves Pochettino short of options for Thursday's Carabao Cup semi-final second leg at Chelsea, live on Sky Sports Football, but he wants players on the edge of his squad to grasp the opportunity to impress. Asked his assessment of the win at Craven Cottage, Pochettino replied: "I need to say that I am so excited now. The adrenaline at the end was amazing, it shows you always need to believe to the end. "I think the performance was solid, although maybe not great. We dominated and had possession, but Fulham are a team that needed to win. They showed their quality and we struggled a little bit in the first half because from set-pieces they work so hard. "I am happy because the effort was fantastic. After Man Utd, it was a tough week for us because there was some negatives around the team but we turned that to a positive. "When there are problems with some players there are opportunities for others, and today was a massive opportunity for others to step up."